How does Good King Wenceslas like his pizza? Deep pan crisp and even. BN is back by popular demand. It's the fourth Sunday of Advent (and Christmas Eve). Today Old Cheviot (OC) and Mrs OC have been to the 8 45 communion service at St John's Church. OC has been out for a leisurely run at The Woodland Trust site in Durham while Mrs OC has been to the bouldering wall at Langley Moor. Later today we will split our time between St John's Carol Service and dinner with Emma's son Cameron. After Christmas, we are off to the Peak District to stay with Mike & Julia (Dark Peak Fell Runners and Wedding Cake Bakers) and hope to recce a fell race route. 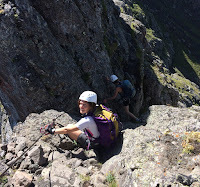 Dolomites - more via ferrata, with Emma's daughter Alison for company, gradually trying tougher routes and with a couple of overnight stays in rifugios. Photo below. 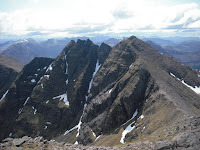 Fellrunning - numerous fellraces for OC including The 2 Breweries near Peebles which we ran together. The race had free beer at the end - fantastic. Cycling & Baking - Mrs OC has re-discovered her love of Pennine cycling and baking cakes. If readers hear a sonic boom near Stanhope, it will be Mrs OC descending Crawleyside Bank a toute vitesse. And if readers wonder why the local shops have run out of coffee - it's simply that it's all in the delicious coffee-cakes that Mrs OC is perfecting. And finally, what happened to the man who stole an Advent Calendar? He got 24 days. That's all folks. Happy Christmas! I spent the first half of 2016 gainfully unemployed. In June the time came to seek employment and I now work 4 days a week in a school in Bishop Auckland. Not only is the school 'a nice place to be', I’m also doing what I like: Management Information Systems and data alongside human interaction. A new adventure (or rather new since my twenties) has been commuting by bike, albeit twice a week. How technology has moved on! Aided by the ‘cycle-to-work’ scheme, I now have a 21st Century winter jacket and some amazingly bright-easy-to-recharge lights. So much so that my ‘dark return route’ takes in an old railway path. Highlights of the night ride home include the shadowy trees, mottled leaves and a low flying owl. Our garden continues to evolve. I’m still growing my beloved vegetables, whilst gradually improving the rest of the garden. My 2017 project is to finish the front. Katie Duff designed the final strip, not an easy task given the John-Emma wish-list. But she did a ‘Good Job’! (A new Ellam Avenue phrase which we have adopted from Monday pilates). 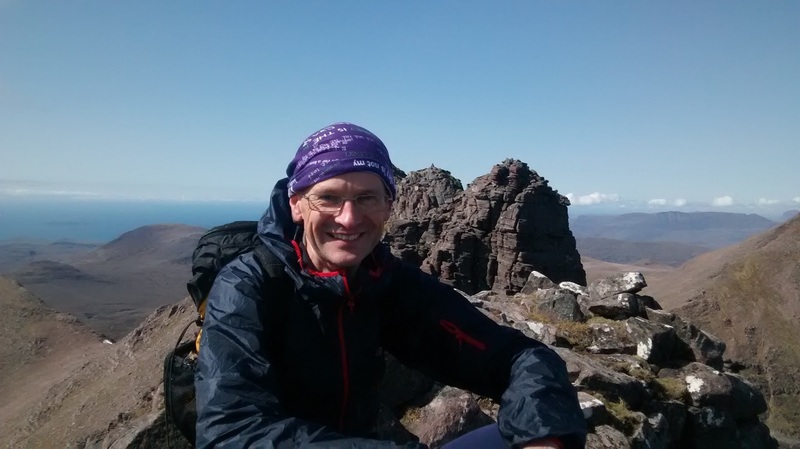 John and I visit the fells regularly but once there tend to do our own thing, meeting up at the end for tea or beer. 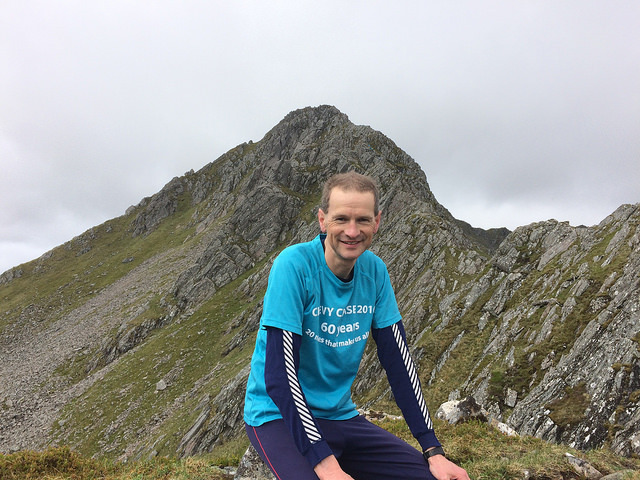 Whilst John very much enjoys all aspects of fell racing, injury has led me to rediscover my love of remote areas (which doesn’t tally with ever more crowded races). I’m still hoping to run cross country by the end of the season – and satisfy my penchant for 'Destruction' (another Ellam Avenue phrase) - but I’d like to keep the fells quiet and competition free. That said, I miss the fell folk, so who knows? Young adults: Emily is learning Chinese in China after 4 years of maths at Cambridge. Graduating the day of the Brexit result was not ideal. Alison is in her final year at Oxford where she has plenty of time to visit refugees and work in a cafe. Cameron is also at Oxford (maths and computing) but he essentially works a standard week. His running is going from strength to strength, or rather he takes less and less time to go once round the track. Audi! (as the cowboy said when he went into the German garage). Birtley News is back for a Christmas special by popular demand. The time has flown by since OC (Old Cheviot) & Mrs OC tied the knot. We celebrated our first wedding anniversary in November with a weekend at Threlkeld under the shadows of Blencathra with Mike & Julia (baker of our wedding cake). OC is still fellrunning, sailing, and birdwatching. Fellraces have included the Chevy Chase and Borrowdale. Sadly Stella Genesta has been sold (a tough but correct decision), but OC intends to keep sailing on the Broads. The birding ranges from goldfinches on the back garden feeder to a hen harrier at Chevington. 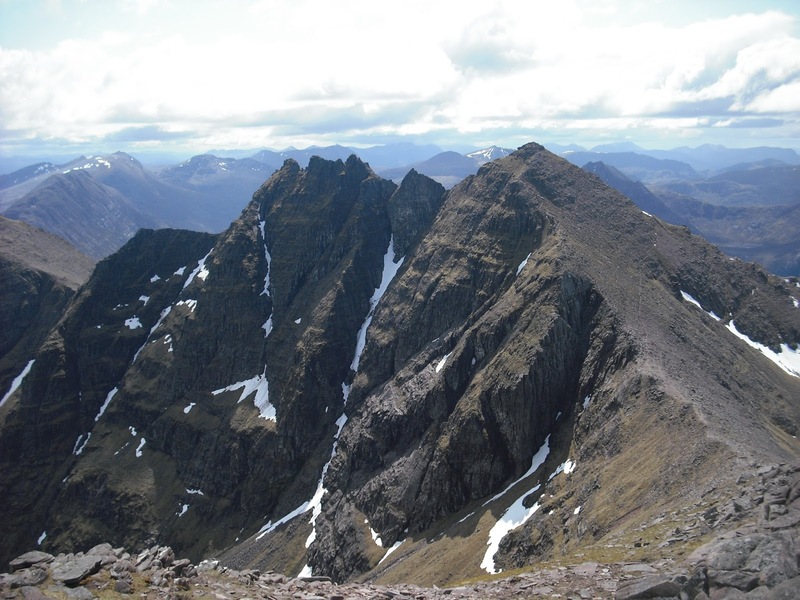 Holidays have included a fantastic week of walking at Ullapool in May (with a fab day on An Teallach shown below), and 10 days on the via ferrata in the Dolomites in September (pictured above). Over the Christmas period we will be attending services at St John's Church (where we were married), having the odd beer or two in The Station House micropub (at least OC will be), then heading off to Ullapool YHA with friends for New Year. And for specific news about Mrs OC - see the post above. What hides in the cupboard at Christmas? A mince spy. As Santa says when he's gardening - hoe hoe hoe! OC & Mrs OC wish all their friends and family a Happy Christmas. Birtley News has been running in one shape or form for nearly 18 years now. It started off in print, before moving on to the internet. YC's life has changed somewhat in the last year - marriage, a move to Durham, other priorities etc. So this seems a natural time to pause, take a break, and reflect. BN hasn't necessarily disappeared. But there will be no more posts for a while. But don't despair readers! YC can still be contacted by e-mail, mobile (on his whizzo i-phone), Royal Mail, and carrier pigeon (possibly). It was a tad windy at times - with Storm Katie making her presence felt in no uncertain times. For the first 3 days, Stella had 3 reefs in plus the storm jib. But gradually the weather improved, with blue skies and a gentle breeze. Haunts visited included Surlingham Ferry, Beccles, and Oulton Broad. A kingfisher, barn owl, and numerous marsh harriers were on view. Plus just the half or two of excellent ale (top marks were awarded to The Adnams at The Waveney, Oulton Broad). Photos (clockwise from top left) - Stella at North Cove, Puck with 3 reefs at North Cove, Peter & Will on the Waveney leaving Beccles, and the crew of Puck (Andy, Dave, Tim & Theresa). It was a beautiful sunny spring weekend in the lakes. Mr & Mrs OC tackled the Causey Pike Fell Race on Saturday. This steep affair heads straight up the nose of Rowling End/Causey Pike, before hurtling down the side of the hill back to the finish. After a night of rest and refreshment in Derwentwater Independent Hostel (highly rated) on the shores of Derwentwater, it was round 2 on Sunday. OC ran the new Carrock Fell Race (a 5 miler in the fells to the north of Blencathra) whilst Mrs OC meandered along the Pennine Roads by bicycle. A rendezvous at Rookhope in Weardale outside the Rookhope Inn seemed an appropriate moment for a refreshing pint of Pennine Pale Ale. Please sir, can I have some more [jigsaws]? 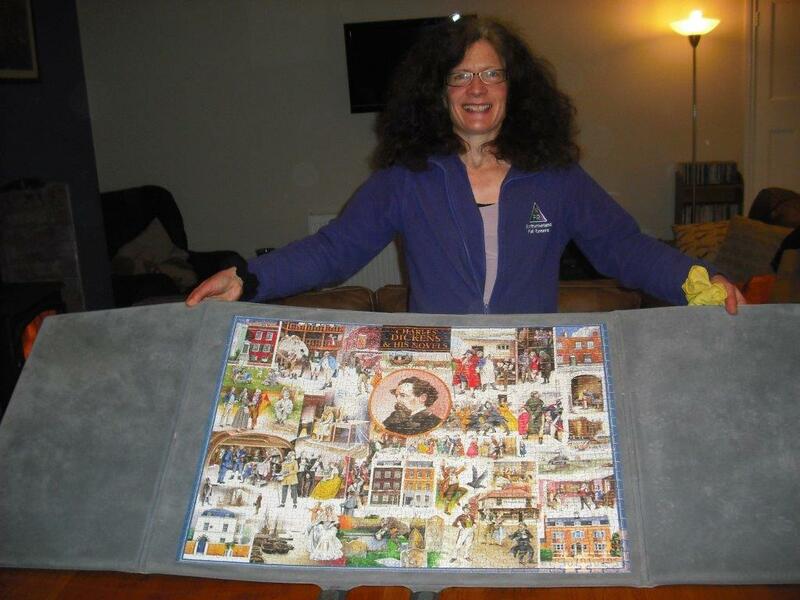 Mrs OC shows off the completed 1,000 piece Charles Dickens jigsaw. Next up is a jigsaw of Australia. Maybe it will contain a picture of the Lions' test rugby victory in 2013. 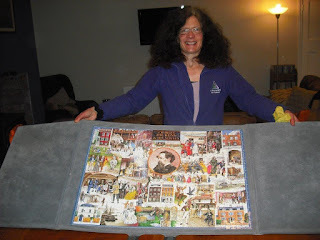 That's probably a tad unlikely; especially, as Mrs OC points out, as the jigsaw was bought some years ago.